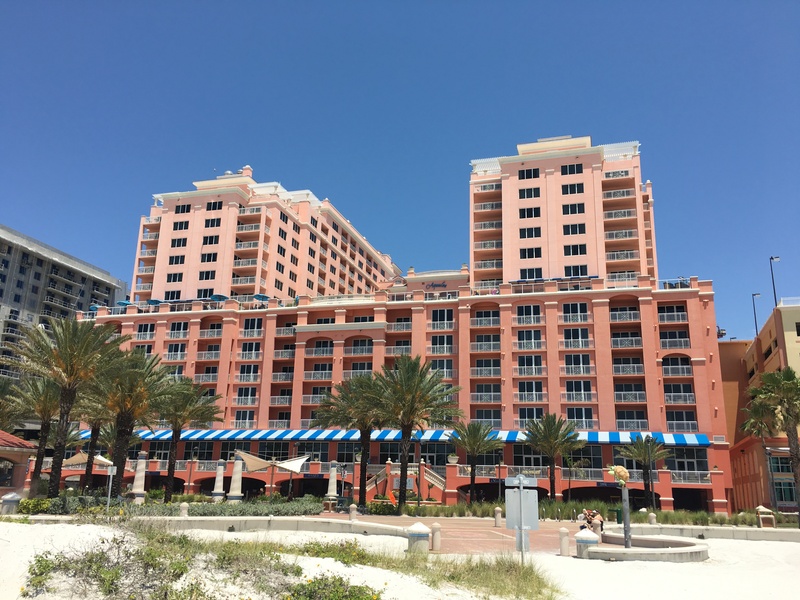 I spent this past weekend enjoying an unofficial second “babymoon” at the Hyatt Regency Clearwater Beach Resort & had a fantastic time relaxing and reliving some childhood memories (every summer as a child and into my teen years we visited Clearwater, Florida). As a habit of mine I always like to see the points I’ve earned from a particular stay or flight so a few days after any flight or hotel stay, I use AwardWallet to check my updated balances in the particular program(s). I do this even for award nights at hotels as I usually earn points for any incidental spending at the hotel. Generally I have a rough idea of how many points I should earn from any trip and in this case I used a points + cash award (combined with a DSU which was further upgraded to a two bedroom Gulf Oceanfront Suite – review coming) so I had a base cost of $125/night + my incidental spending at the hotel for meals/activities. As a Diamond member, I earn 5 points per dollar spent + a 30% bonus and I had selected the 1,000 Hyatt points as my Diamond amenity so I was easily expecting to earn in excess of 5,000 points for my stay. Well, when I refreshed my Hyatt Gold Passport balance via AwardWallet my balance was actually lower than before! Logging into my Hyatt account, I found the culprit. My first thought was that my account was hacked and someone redeemed my points for “Shor 21” whatever that is. Upon thinking it about some more however, Shor is the name of the restaurant at the Hyatt Regency Cleawarwater and we did have dinner there on 5/14 so maybe there was mixup where the hotel believed I wanted to use points to pay for dinner. 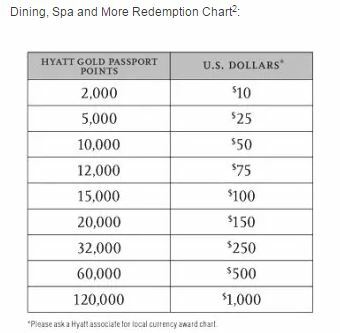 Now redeeming points for food is an option per the Hyatt website but it is an absolutely terrible value as per the rewards chart, the 10,000 points only covered $50 of food. I double checked my checkout receipt and my dinner was charged in full to the room so my guess now was the hotel double charged me for dinner – by charging me the full cash price and 10,000 points. I called the Diamond line and a helpful agent stated that activity related to a redemption for food at Shor which I explained was incorrect as my checkout receipt shows it being charged to the room. After conferring with her supervisor she opened an investigation, gave me the Case ID and assured me within a few days the points will be back in my account. I don’t need the points right away so this works for me but this incident underscores one very important lesson – always check your frequent flyer and hotel loyalty accounts after each flight or stay to make sure everything looks accurate. I’ve posted before how Hyatt has made mistakes in not awarding the correct amount of points so this can and does happen more than you think. I highly recommend using a tool like AwardWallet (it’s what I use) so you can check all your account balances in one shot instead of individually logging into each account. Disclosure: Yes, that’s my referral link for AwardWallet but all I earn are free upgrade coupons which historically I have given away to readers or clients. I do not earn any money from you signing up for AwardWallet via my link. The long standing offer on the Citibank AAdvantage Platinum Select cards has been 50,000 miles after $3,000 in spend in 3 months. Sometimes I’ve seen the card offered with two day passes to any Admiral’s club which is a nice touch – either offer is great in my opinion. 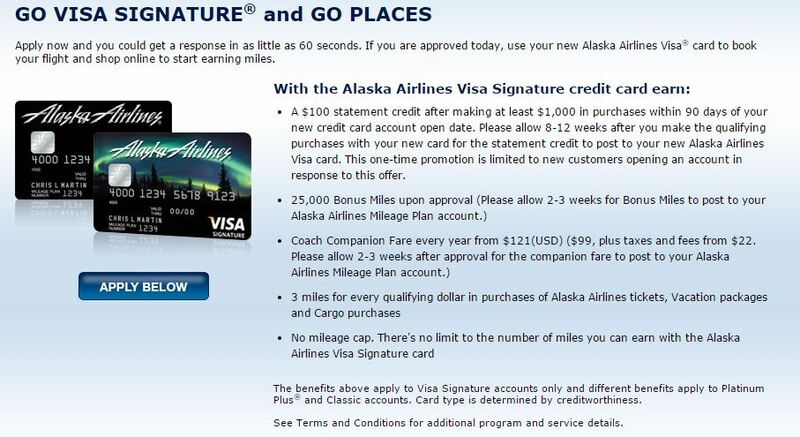 In fact, I’d argue it is better than the corresponding 50,000 mile offers currently on the Delta Gold SkyMiles card but what do I know as some prominent blogger who rhymes with the Da Joints Pie has that 50,000 Delta Gold SkyMiles offer as the #1 CURRENT CREDIT CARD OFFER AMONG ALL OFFERS. Are you (bad word) kidding me?!?! That signup offer might get you a roundtrip ticket to Kansas City…keyword being might. What a load of… Sorry end rant, let’s get back on topic. Back to the PSA at hand, let’s discuss the current state of offers on the Citi AAdvantage card. 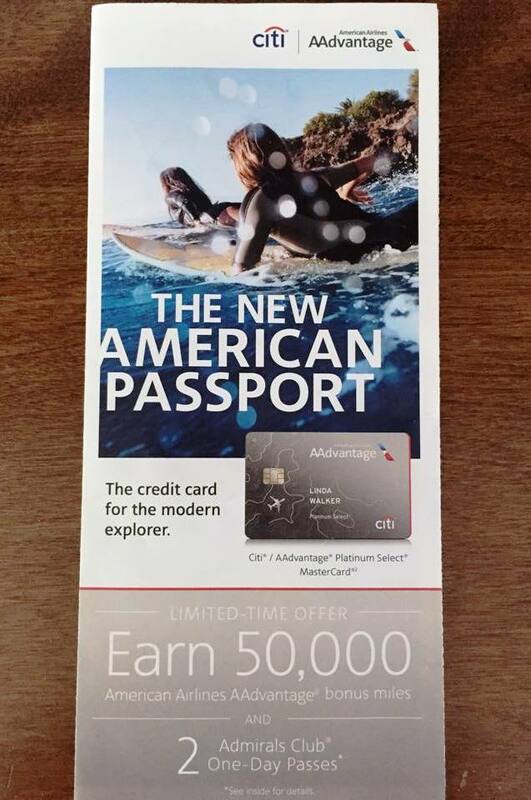 If you go to AAdvantage page or even the Citibank.com homepages, you will only see a 30,000 mile offer for this card. We can do better than that. 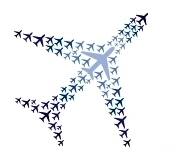 Per Flyertalk, there are a whole bunch of links that still show a 50,000 mile offer. Here is one such link if you’d like but we can do better than that (or there wouldn’t be a point to this PSA if the best offer was online). 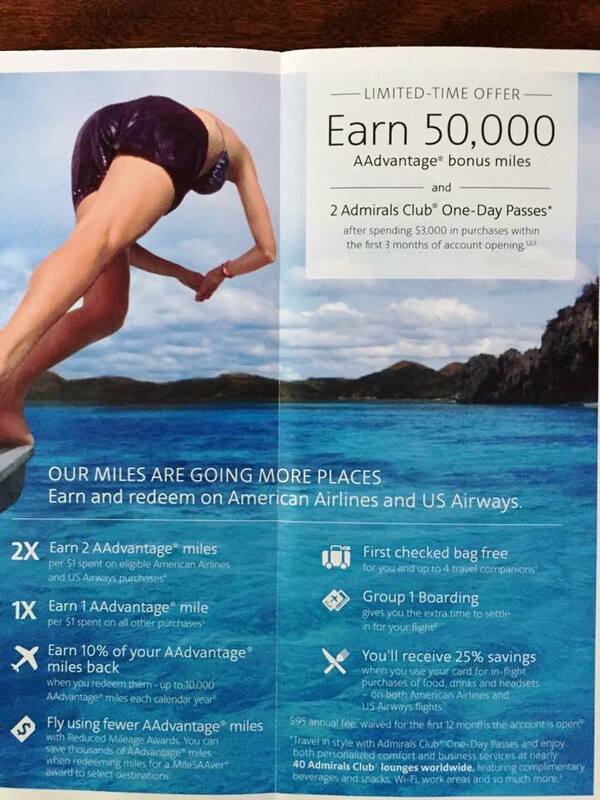 A nice reader of mine passed along a picture of this offer she was given during her most recent American Airlines flight. Do you spot the difference? This offer includes two one-time passes to the Admiral’s club. A one day pass purchased from AA cost $50 so in theory this is an extra $100 of value in this offer. Not into $100 worth of pretzels and stale veggies? You could always sell these two passes on eBay and net around $50 which isn’t too bad. So at most, I’d argue this offer that can be found about 35,000 feet in the sky is worth ~$50 more than the best one I can find online. Is this a ground breaking development? Of course not and I’m sure most of you will say screw it and just apply online if you want the card as its extremely unlikely you’ll jump on a flight just for this offer. That said, I bet there is someone reading this who is flying AA soon who might be thinking about picking up this offer. And to that person, this PSA made you an extra $50 so you’re welcome. *Yes, I try to have some fun with these PSA posts while trying to convey a serious point hence the different writing style from my normal posts. I hope you had a little chuckle reading these. Will this PSA be as helpful as some of my others? Probably not but its good to keep everyone abreast of things other bloggers don’t mention or don’t know about. Also, I’d say I’d feel bad about poking fun at The Points Guy….but I don’t.